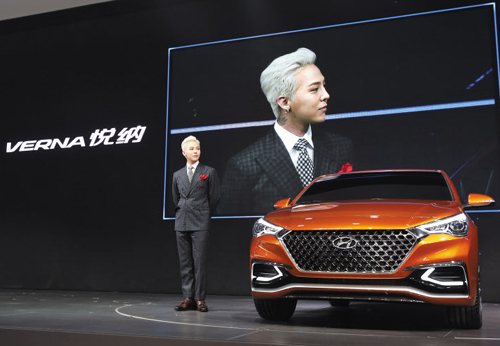 G-Dragon of boy band Big Bang attended the Beijing International Auto Show on Monday to promote a new version of Hyundai's Verna subcompact. Over 10,000 fans flocked to the venue to see the star in person. Hyundai has sold some 107,000 Vernas in China since its launch in August 2010, reaching the top spot in the compact segment. China's biggest auto show runs until May 4.